The CSUB Office of Student Involvement enhances the quality of the student experience through supporting student clubs and organizations, creating and promoting involvement opportunities for all students, and encouraging active participation in the student learning process. 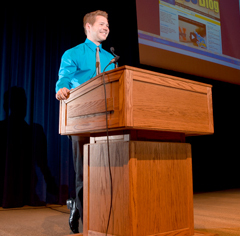 Students who become involved in campus clubs and organizations gain valuable life skills. They learn how to facilitate meetings, motivate people, reconcile conflicts, manage money and budgets, plan programs, and speak in public settings. We are here to support student organization officers and help them become effective leaders within the campus community. Student organizations have access to an Organization Management Software we call "RunnerSync." "RunnerSync" is currently offline while we upgrade the software behind the platform. Click the link below for a step-by-step tutorial on how to submit an event request through 25Live.